Sensational Cape Surville! 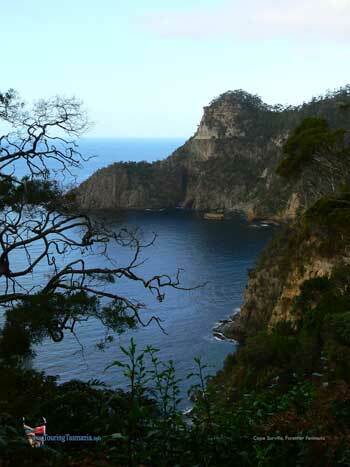 A relatively little visited cape on the Forestier Peninsula 12 kilometres east of Murdunna. 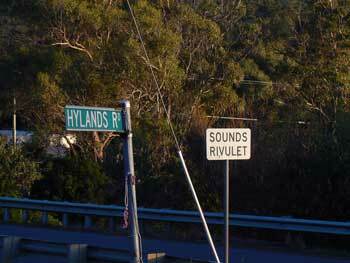 Follow Hylands Road and Richardsons Road. The two roads are a continuation of each other. 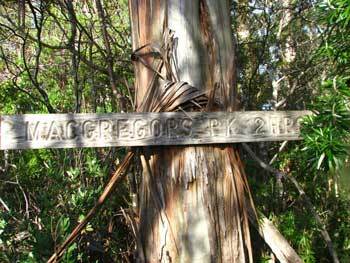 Two kilometres before the end of the road are two dilapidated signs directing visitors to the start of the High Yellow Cliffs track along a gated road. The day we visited the gate was open allowing us to drive right to the start of the tracks. 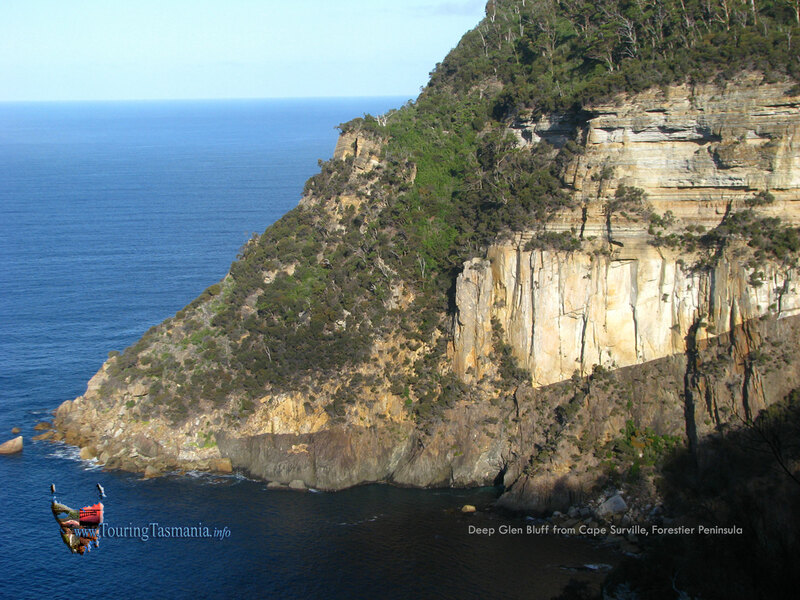 The High Yellow Cliffs track commences at a turning circle high above the cliffs providing a full view of spectacular Cape Surville. 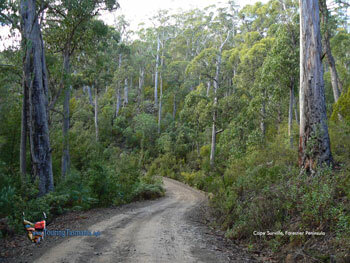 The cape Surville track commence 200 metres before the turning circle. 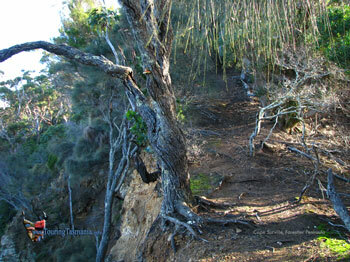 The Cape Surville track continues to the highest point on the cape and takes a little over an hour. The track is quite steep and awkward in places. The track crosses a short saddle before the final assent of Cape Surville. 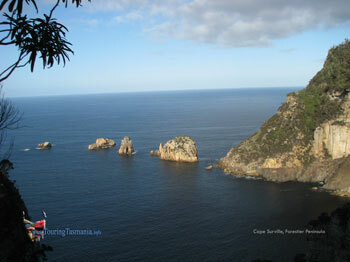 There is a commanding view of Deep Glen Bluff across Sisters Bay from the saddle. 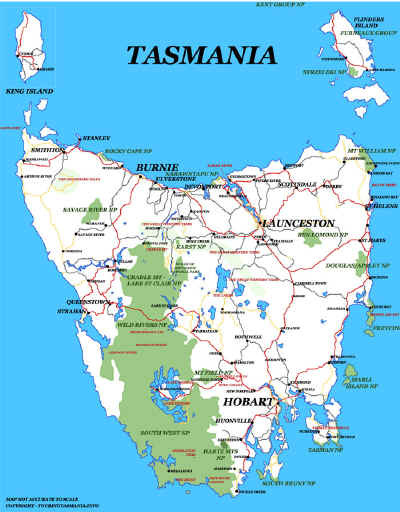 The cliff face exposes one of Tasmania's unique geographical features where dolerite, granite and sandstone are stacked on top of each other. RIGHT: The saddle coming from Cape Surville. 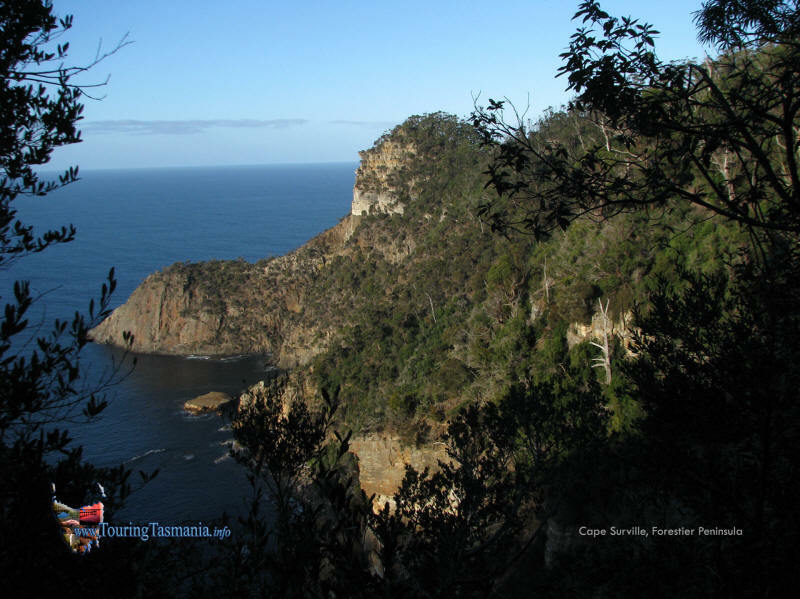 Diverse delights of the Cape Surville Track. 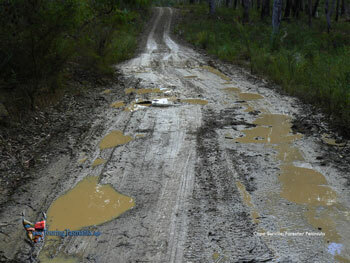 The condition of the road was quite good despite being the middle of winter. Only one section which could do with some repair. The track starts here. 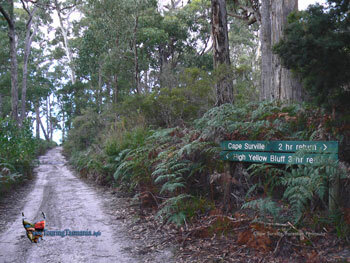 100 metres further on is a turning circle and the start of the High Yellow Cliffs track. The view on the right is from the turning circle. BOTTOM LEFT: The turn off at Murdunna. 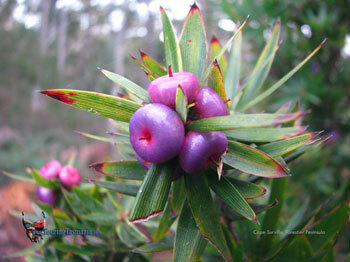 Thanks to Helen and Steve Hitchen for the information at this site! This sign was found 15 minutes from Cape Surville. 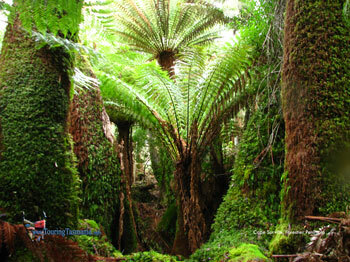 More to explore!